There are so many responsibilities when it comes to home ownership. Commercial business owners also have a lot to deal with. One of the responsibilities is keeping the exterior of the home or building clean. Luckily, there's a fast and efficient way to take care of cleaning the exterior surfaces. Pressure washing is very efficient. When done professionally, the technician cleans a variety of surfaces. 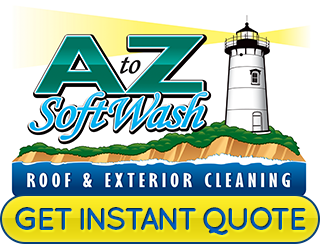 If you are looking for a pro in Norton, call A to Z Softwash. Our Cape Cod roof cleaning company would love to assist you. Need Roof Cleaning Services In Norton? Are ugly roof stains getting you down? They can streak or cover the entire roof. Many homeowners think something is bleeding through from underneath the shingles. However, they are most often cause by algae or mildew growth. The stains are bad enough, but these organisms use the shingle material as food. It's important to get rid of this problem. In fact, insurance companies are warning homeowners about canceling the policy if the roof isn't cleaned. Most homeowners don't have a hard time cleaning the inside of windows. But when it comes to cleaning the outside, things can get complicated. There may be bushes in the way or the windows may be too high. It's a lot of hard work, so some just don't like to do exterior window cleaning. 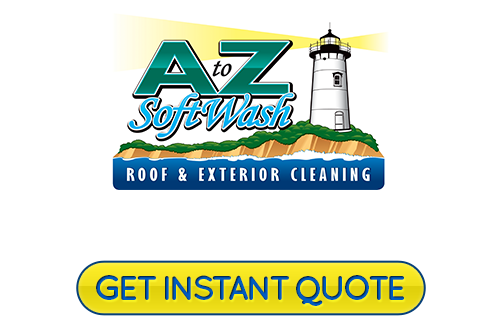 If you need help washing the outside of your windows in the Norton area, call the experts at A to Z Softwash. 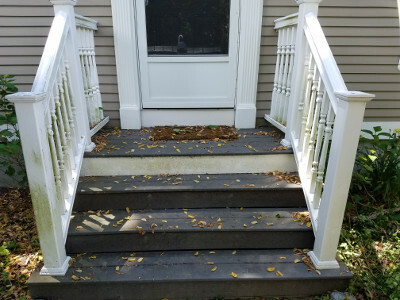 If you are looking for a reliable Norton, MA roof cleaning or pressure washing professional, please call 508-209-7795 or complete our online request form.